Picasso’s diverse styles capture a range of emotions and looks; but his modern portraits of couples in love stand far above any other. This is the perfect inspiration for any Ketubah. 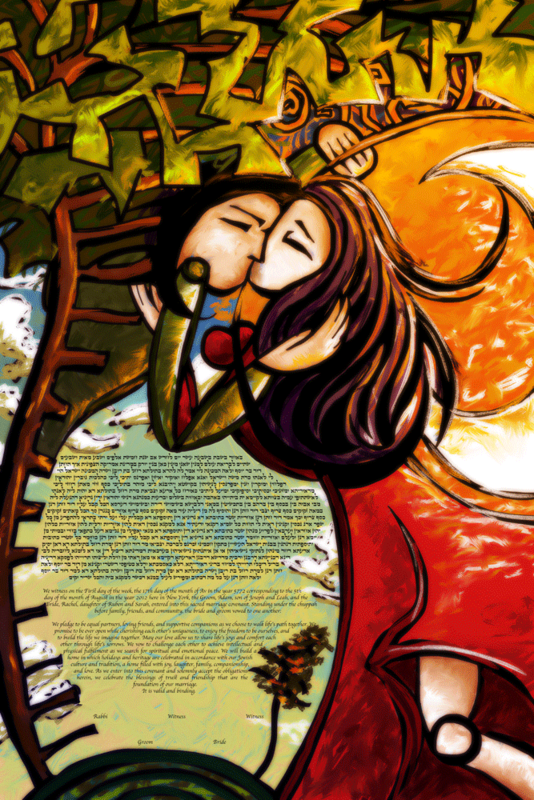 The Loving Embrace Ketubah is a bright and fun manifestation of the Jewish wedding contract. It centers around the couple in love and it (along with our other Picasso portraits) is a powerful piece of modern art to hang on your wall.